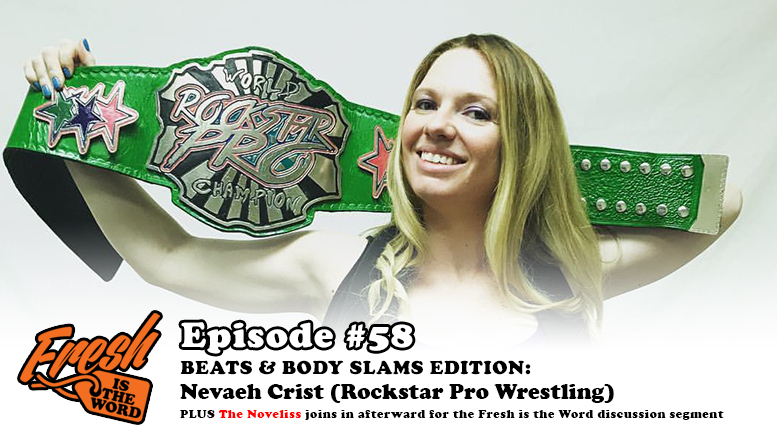 On another Beats and Body Slams edition of Fresh is the Word, we are joined by the Dayton, Ohio-based wrestler Nevaeh Crist. She is currently the Rockstar Pro Wrestling World Champion, the first woman to hold that honor. Nevaeh also just claimed the Clash Wrestling Women’s Champion in Michigan recently. We talk about becoming the Rockstar Pro Champion and her life as a pro wrestler.